Richard Hudson, an inveterate woman-chaser and gifted used car salesman, possesses a pimp's understanding of the ways in which women (and men) are most vulnerable--and justifies his seductions with a highly perverse logic. By day, he works his crooked car lot with much success. By night, he returns home to a family of misfits: an adoring, ageless mother; her washed-up husband, an ex-film director who is twenty years her junior; and a curious teenage stepsister ripe for corruption. One day Richard is seized by a feeling of terror and revulsion; he realizes he's wasting his life in the meaningless pursuit of money. His only hope, he decides, is to abandon the used-car game and try his hand at something creative--an ambitious and risk-laden film project that will "tie up in a single package his reason for existing." Richard completes his cherished project. But forces beyond his control swiftly reject and destroy it. As a result, the enraged and humiliated used-car salesman goes on a bender for the ages, drinking his way through the underbelly of Los Angeles and exacting a monstrous revenge on all who have crossed him. 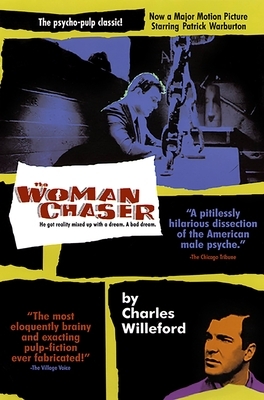 Charles Willeford (1919-1988) was an American writer of fiction, poetry, autobiography, and literary criticism, He is best known for his series of novels featuring hardboiled detective Hoke Moseley.